Incorporeal or uncarnate means without a physical body, presence or form. It is often used in reference to souls, spirits, and God in many religions including Judaism and Christianity. In ancient philosophy, any attenuated "thin" matter such as air, aether, fire or light was considered incorporeal. The ancient Greeks believed air, as opposed to solid earth, to be incorporeal, in so far as it is less resistant to movement; and the ancient Persians believed fire to be incorporeal in that every soul was said to be produced from it. In modern philosophy, a distinction between the incorporeal and immaterial is not necessarily maintained: a body is described as incorporeal if it is not made out of matter. In the problem of universals, universals are separable from any particular embodiment in one sense, while in another, they seem inherent nonetheless. Aristotle offered a hylomorphic account of abstraction in contrast to Plato's world of Forms. Aristotle used the Greek terms soma (body) and hyle (matter, literally "wood"). The notion that a causally effective incorporeal body is even coherent requires the belief that something can affect what's material, without physically existing at the point of effect. A ball can directly affect another ball by coming in direct contact with it, and is visible because it reflects the light that directly reaches it. An incorporeal field of influence, or immaterial body could not perform these functions because they have no physical construction with which to perform these functions. Following Newton, it became customary to accept action at a distance as brute fact, and to overlook the philosophical problems involved in so doing. In chapter 10 of De ratione animae, Alcuin defines anima (soul) by combining Platonic attributes, including intellect and reason, ceaseless motion and immortality with the Christian tenents of free will and salvation. As a means of interaction with corporeals such as the human body and incorporeals such as God and the Forms, his definition includes traits pertaining to the soul as an incarnate entity within the natural world. It is one thing to assert that the soul is 'incorporeal' insofar as it is distinct from the human body, and it is quite another thing to espouse the Platonic notion that the soul is utterly incorporeal, or that it is not a body of any kind. 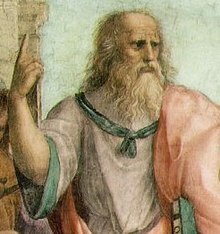 Platonic incorporeals differ significantly from the incorporeals of classical Stoicism, which were thought to participate in a diminished form of existence, and from the incorporalia of the grammatical tradition, which were defined on the basis of their imperceptibility to one or more of the five senses... A Platonic incorporeal is necessarily imperceptible to all the senses, and it does not occupy space. Accordingly, Alcuin writes that the soul is 'invisible, incorporeal, without weight, without colour,' although for a reader who already shared Alcuin's Platonic understanding of incorporeals, the mention of invisibility, weightlessness, and colourlessness was redundant. Alcuin also carefully specifies that the soul is circumscribed but nonetheless whole in every part of the body. In other words, the soul is neither diffused throughout the universe as God is or as a world-soul would be, nor is it distributed throughout a space in such a way that it can be divided. If incorporeality makes the soul imperceptible to the senses, it is even more important that incorporeality allows the soul to apprehend other things that are imperceptible to the senses. The idea that like perceives like goes back to the Greek Presocratics, and in the medieval Latin iterations, it did not have to carry strictly Platonic connotations. Yet principally from Augustine's early dialogues and De Trinitate, Alcuin and other Carolingian thinkers inherited many rational demonstrations of theological doctrines, worked out according to a method of argumentation that combined Neoplatonist metaphysics with Aristotelian logic. Within this mode of discourse, it was exceedingly useful to have recourse to the concept of true incorporeality, and to be able to attribute true incorporeality to the unitary, rational anima, with all of the ontological and epistemological implications that it entails. Traditional forms of Judaism, Christianity, and Islam each conceive of God as an immaterial, nonphysical reality. If "the incorporeality of God" means the denial that God is physical, then all three monotheistic religions accept the incorporeality of God. However, if we follow the etymology of the term and define "incoporeality" as "without body" (from the Latin incorporale), Christianity takes exception to a strict adherence to belief in God's incorporeality when it comes to the Incarnation. According to traditional Christianity, in the Incarnation, the second member of the Trinity... became infleshed (the Latin meaning of incarnatus) and thus, in a sense, came to be "with body." While this pivotal claim about the union of God and man at the heart of Christianity marks a dramatic departure from a radical transcendent theology of God according to which any such union is metaphysically impossible, it does not commit Christians to denying God's immateriality. In traditional Christianity, God the Father, God the Holy Spirit, and God the Son (apart from the Incarnation) are clearly understood as lacking material structure and composition. Because of the shared conviction that God is immaterial, Christians along with Jews and Muslims have historically opposed material conceptions of God or gods such as one finds in Stoicism, according to which God is a vast material being, a world soul or animal, and in polytheism, according to which there are hosts of material deities. God's immaterial reality has also been used to articulate an important difference between monotheism and versions of pantheism... according to which the material world either is God or a part of God. Members of The Church of Jesus Christ of Latter-day Saints (Church of Jesus Christ) view the mainstream Christian belief in God's incorporeality as being founded upon a post-Apostolic departure from the traditional Judeo-Christian belief in an anthropomorphic, corporeal God. This concept of a corporeal God is supported by Biblical references to his face, mouth, finger, feet, back, and right hand; as well as various references to God creating man his own image and likeness. Examples of physical manifestations of God include Genesis 32:30 where the prophet Jacob declared, "I have seen God face to face, and my life is preserved"; and in Exodus 33:11, which reads: "...the Lord spake unto Moses face to face, as a man speaketh unto his friend." Members of The Church of Jesus Christ of Latter-day Saints believe that when the Church's foundation of revelation (Ephesians 2:20, 4:12–14) crumbled with the martyrdom of the Apostles, doctrine gradually began to shift as a result of the speculation and reasoning of theologians who took it upon themselves to continue the development of Christian doctrine despite not being authorized receivers of revelation for the body of the church. The writings of many of these post-Apostolic theologians show that they were influenced in varying degrees by the prevailing Greek metaphysical philosophies of that era, which strongly rejected the idea of a corporeal, material God. For example, in "Confessions" Book 7, Augustine of Hippo attributed his conception of God as incorporeal substance to Neoplatonism: "I no longer thought of thee, O God, by the analogy of a human body. Ever since I inclined my ear to philosophy I had avoided this error". Origen's preoccupation with the philosophers' concept of God is apparent in this quote from “Homilies on Genesis and Exodus”: "The Jews indeed, but also some of our own people, supposed that God should be understood as a man; that is, adorned with human members and human appearance. But the philosophers despise these stories as fabulous and formed in the likeness of poetic fictions". This Hellenistic rejection of anything material in the "metaphysical" world caused the resurrection to be one of the most hotly debated doctrines. This was apparent in the Greek's skeptical reaction to the doctrine of the resurrection in Acts 17, and is what prompted Paul's defense of the resurrection in 1 Corinthians 15. In “Expositions on the Psalms” Augustine wrote, “Nothing has been attacked with the same pertinacious, contentious contradiction, in the Christian faith, as the resurrection of the flesh...many Gentile philosophers have...written that the soul is immortal: when they come to the resurrection of the flesh...they most openly deny it, declaring it to be absolutely impossible that this earthly flesh can ascend to Heaven.” Members of The Church of Jesus Christ of Latter-day Saints believe that the truth about God's corporeal nature was first restored to the earth when the Father and the Son appeared to the fourteen-year-old Joseph Smith in 1820 to begin the restoration of the gospel of Jesus Christ. ^ Taliaferro, C.; Draper, P.; Quinn, P.L. (2010). A Companion to Philosophy of Religion. Blackwell Companions to Philosophy. John Wiley & Sons. pp. 84, 87. ISBN 9781405163576. LCCN 2009037505. ^ a b Lockett, L. (2011). Anglo-Saxon Psychologies in the Vernacular and Latin Traditions. Toronto Anglo-Saxon Series. University of Toronto Press. pp. 287–289. ISBN 9781442642171. LCCN 2011378491. ^ Taliaferro, C.; Draper, P.; Quinn, P.L. (2010). A Companion to Philosophy of Religion. Blackwell Companions to Philosophy. John Wiley & Sons. p. 292. ISBN 9781405163576. LCCN 2009037505. ^ "Topical Guide: God, Body of, Corporeal Nature". LDS.org. The Church of Jesus Christ of Latter-day Saints. Archived from the original on 2014-12-08. ^ Neusner, Jacob (1997). "Conversation in Nauvoo about the Corporeality of God". BYU Studies. 36 (1). ^ Augustine (1955) [c. 400]. "Book Seven, Chapter One". Confessiones [Confessions]. Translated by Albert C. Outler. Philadelphia: Westminster Press. LCCN 55005021.